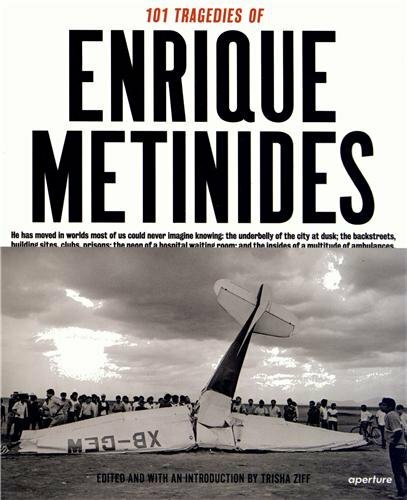 101 Tragedies is Enrique Metinides’ selection of the key 101 images from his half-century of photographing crime scenes and accidents in Mexico for local newspapers and the notas rojas (or red pages—for their bloody content) crime press. alongside each image, extended captions give Metinides’ account of the situation depicted—the life and characters of the streets, the criminals, the heroism of emergency workers and the sadness of bereaved families—revealing much of his personality in the process. thirty of the selected photographs are paired with their original newsprint tearsheets, preserved by Metinides, the typography of which has inspired the design of this book. the images are compiled by Trisha Ziff, a filmmaker and curator who knows Metinides well, and who here contributes an essay about his life, work and personality. the first overview of the photographer in many years, 101 Tragedies is also the only Metinides monograph comprised of images chosen by the photographer himself, and which offers his own account of his life’s work.